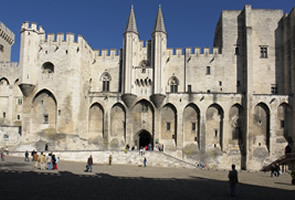 With its bridge, famous the world over in the beloved children's song, the Palace of the Popes, testimony to its prestigious past as Capital of Christianity in the Middle Ages, Avignon offers grandiose architecture, ranked among UNESCO's World Heritage. 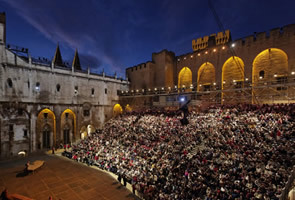 The Avignon theatre festival in the summer has been the international meeting point for contemporary creation for the 60 years. 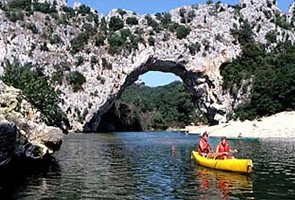 Avignon is also the ideal base for exploring Provence - the Luberon, the Apilles, Camargue and all the beauty of Provence. 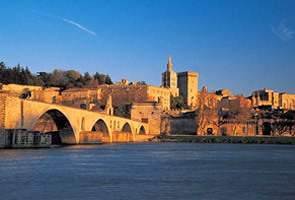 Avignon also means Provencal cuisine and Côtes du Rhône wines, discovery and lifestyle. 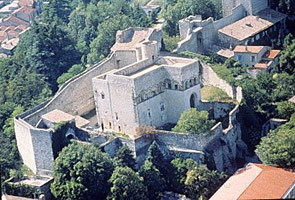 Montélimar, the capital of nougat whose reputation has spread far beyond its boundaries, opens for your benefit the gates of Provence. 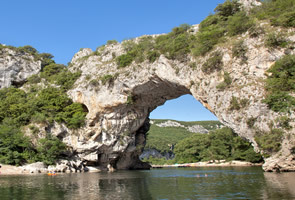 The famous Pont d'Arc, natural arch over 30 meters tall carved by the river Ardèche and ranked Grand Site of France, gave him his name. 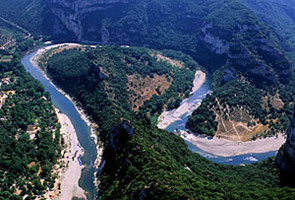 Vallon Pont d'Arc is a mecca of prehistory and cultural tourism. 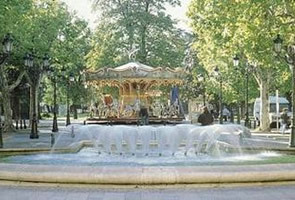 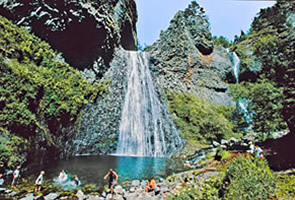 It is a small village of about 2000 inhabitants winter, which saw its population increase tenfold in summer.